April is a very special month (and not only because of a certain members birthday!) April is a transitional month, where the snow starts to melt, the rain starts to fall, and the trees and plants wake up from their winter slumber. Here in the lower mainland we get leaves on the trees and flowers start to grow, and in many places we see tulips and daffodils already blooming! In honor of this month where water brings green life, we are making the Intersection Block by Film in the Fridge. CLICK HERE for the tutorial. You will notice that there are three different center block measurements. You choose your preference! Each block finishes the same size, just be sure to cut for the appropriate center block! 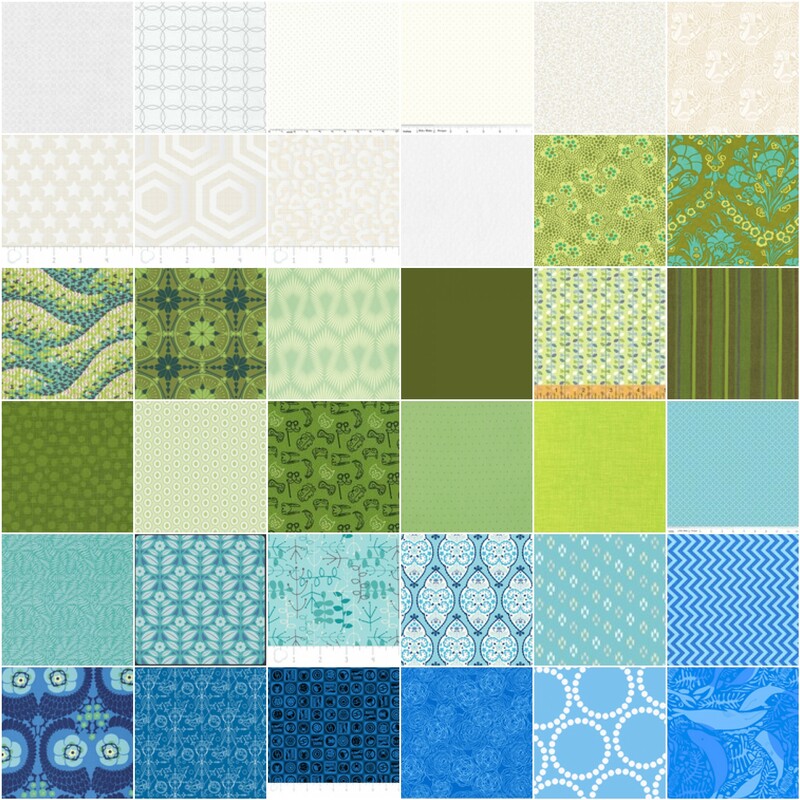 The color theme for this lotto will be Blue and Green and White or Ivory Neutral. The block will have one of each of these colors in it. You can use any shade of blue in the color wheel and any shade of green. Use solids or modern prints ( Ashley gives some great tips for picking prints for these blocks). The blue and green will used for the outer ring and the inner square. The white neutral ( this mean any white or slightly off white print or solid, NO grey, cream or black) will be the skinny inner strip that separates the two colors. THe key in this is CONTRAST. The skinny strip should be the lightest print in the block. For the colors one should be lighter or darker than the other. That will give the blocks punch and the finished quilt for the lucky winner will be awesome! Here is a color inspiration gallery to give you an example of some acceptable colors. As usual, the more blocks you make, the more chances you have to win! I can’t wait to see all your finished Intersection blocks at the May meeting! !